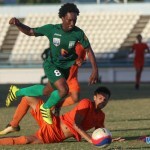 Defending SSFL Premier Division champions, Presentation College (San Fernando), will try to maintain their 100 percent record for the 2018 season when they host southern rivals, St Benedict’s College, from 3:40pm tomorrow at the Mannie Ramjohn Stadium in Marabella. 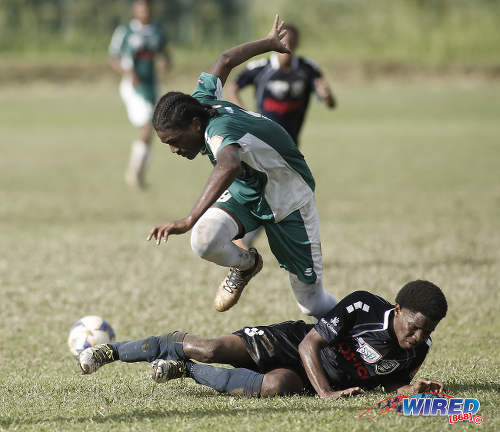 St Benedict’s are yet to register their first win in 2018 after successive draws and a 3-1 weekend loss to Naparima College—after both teams were locked at 1-1 with eight minutes remaining. 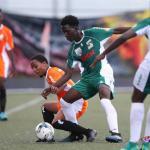 Photo: Presentation College (San F’do) attacker Jaiye Sheppard (right) takes on St Mary’s College defender Augustine Nkemakolam during SSFL action at Serpentine Road on 22 September 2018. 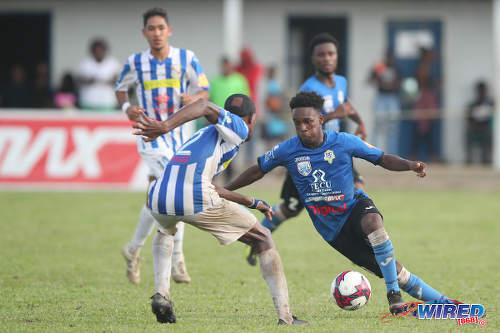 There is a heavyweight clash in east Trinidad too where San Juan North Secondary, who were victorious in their two outings so far, travel to unbeaten Trinity College East in Trincity. 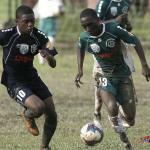 ‘Naps’ and St Augustine Secondary are on the trail of the ‘Pres Lions’ and will hope to keep their own runs going. 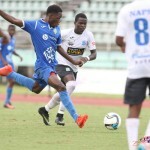 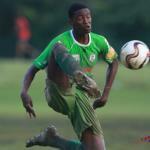 Naparima host Fatima College at Lewis Street in San Fernando while the “Green Machine” travel to Carapichaima East Secondary. 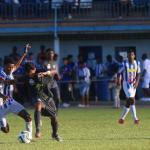 Photo: St Augustine winger Dorian Sampson (top) tries to evade QRC right back Rawle Felix during SSFL action in St Augustine on 22 September 2018.